Review by Frankie Sirk <<<•>>> Those of you who know about Cometbus can understand how amazing it is that Last Gasp has published an anthology of Aaron’s best work. To me, it represents a passing of the torch, the old ringing in the new, a continuation of the San Francisco Bay area press. I think it is also a show of respect between two unique and original underground publishing forces. And really it’s just an amazing and truly enjoyable book to read. Those of you who don’t know about Cometbus, well, you’re in for a treat. I can tell you that this collection presents a rare opportunity to study the birth, growing pains, wasted youth and early old age of an incredible culture that most people have only heard about through mainstream media sources. 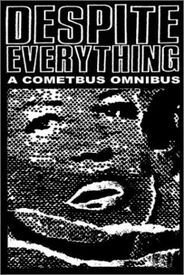 Cometbus is a fanzine that has transcended its own label and even its own ambitions. 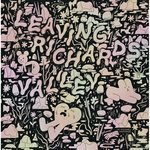 Inspired by punk rock magazines of the late 70s, a teenaged Aaron began to edit and publish his own fanzine in order to add his own voice, and document the bay area music scene that he found himself participating in. A junkpile of ideas, Cometbus was refreshing in that it abandoned the general formula of record review, band interviews and the like. Acting mostly as an editor, Aaron crafted a remarkably original mag full of features focused on what didn’t even enter into most people’s peripheral vision, let alone center stage; things like dumpster diving, kids’ cereal reviews, and small time scams like how to reroute your one-way Greyhound ticket into a round-trip cross country bonanza--free of charge! Over the years Cometbus began to introduce more fiction pieces from its contributors and Aaron began to turn his rambling travel journals into digestible short stories. This is where Cometbus really began to take off and go beyond any expectations that were set up by the early issues. Aaron’s writing became sharp and quick yet subtle and tender- a counterpoint to the music he and his friends were documenting. I remember thinking then that-- finally!-- here was a voice that I could trust. He wrote stories that spoke to me and used my language, our language. He wrote about things, places, concerns, even people that I knew. Yet somehow he was able to make it-- write it-- in a way that didn’t seem insular or elitist. He wants his comrades to get his point, but he also wants his neighbor, the old guy with the cats to get it too. And that is why I think Aaron is one of the most valuable of young writers working today. He’s concerned with his milieu, but he also sees the big picture. Personally, I don’t know many youthful voices who do both and do it well. Aaron’s writing is about telling all the old stories with a new cast of characters. It isn’t about being clever and toying with the medium. Straight forward honesty is at work here, like Bob Dylan’s best songs or the Ramones’ first album. Cometbus holds a special place in the hearts of its readers because it is one of the few underground voices that hasn’t allowed itself to be watered down and filtered though bigger, generally corporate outfits. Aaron’s stories have appeared in other underground magazines and newspapers, but never in, say, the Utne Reader, Granta, or the New Yorker. At the end of Despite Everything Aaron addresses his botched and bungled dealings with publishers and magazines, including a hilarious episode with an editor from Harper’s. To put it simply, Aaron didn’t sell out when he had the chance back in the mid-90s. By teaming up now with Ron Turner’s Last Gasp-- the publisher and distributor which figured prominently in the birth of the underground comics movement, and has been at or near the center of the US underground press ever since-- Aaron has anchored his work to a strong counter-cultural tradition, and by doing so has simultaneously enabled this tradition to affirm its commitment to the next generation. Last Gasp’s decision to publish Despite Everything combined with Aaron’s choice to allow it to be published by someone other than himself is quite an event. I really think it embodies a changing of the guard: Ron Turner and Last Gasp have recognized that Cometbus is in fact the new regime-- the new model of the underground press. Despite everything, this anthology has found its way into print and onto the shelves of the Copacetic Comics Company. I can’t recommend it highly enough: It is truly indispensable. A real cup of coffee. No decaf.